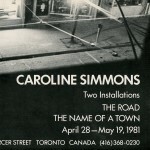 Caroline Simmons, mixed media installation artist will present two of her works: The Road and The Name of a Town at Mercer Union from April 28 to May 16. 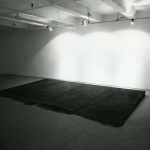 The Road is a 16-foot representation of a section of a tar-stone road. It is the result of a single minded effort to reach a state beyond what is immediately visible. 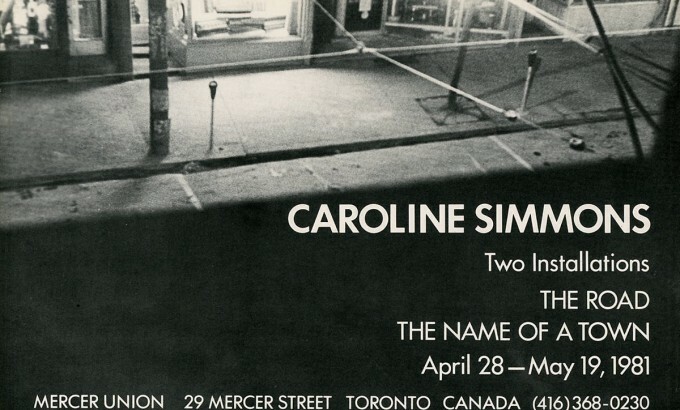 The Name of a Town is in part, work that has been shown at PS1 in New York. The installation consists of found and made images chosen from a subjective observation of reality, utilized to throw things into question. 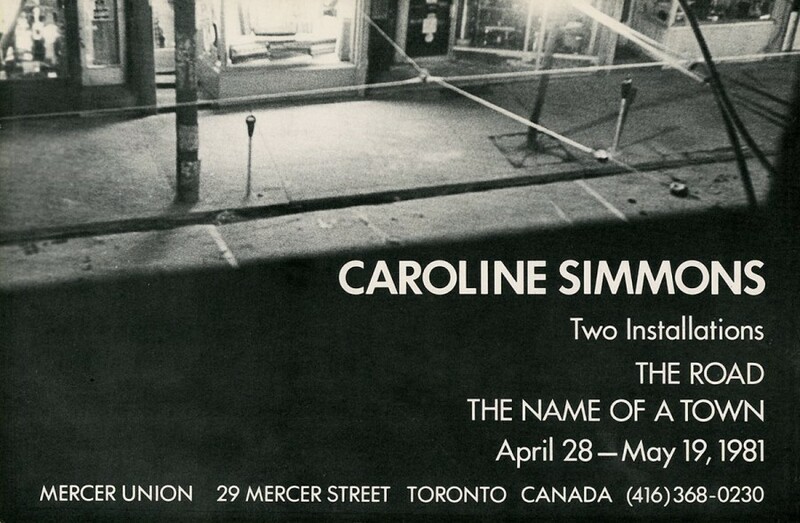 Caroline Simmons has participated in group exhibitions including Locations, Mercer Union 1980, and Five New Artists, Isaacs Gallery, 1979. 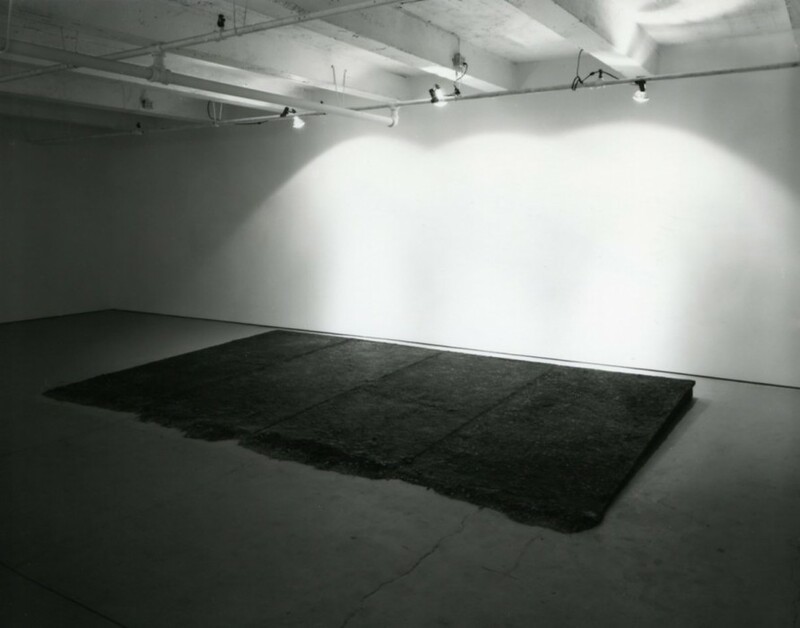 Her recent one-woman show in New York was part of the Canada Council programme at PS1 (Project Studio One), made available to four artists a year.